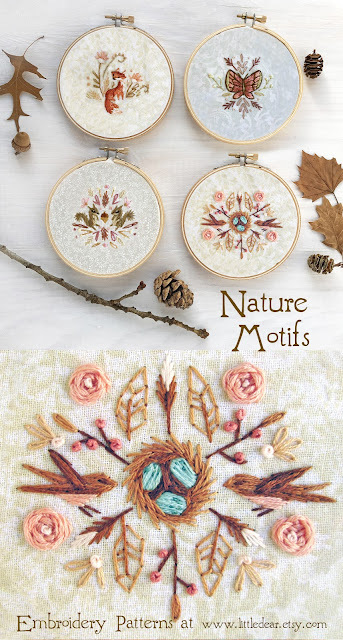 I've just listed a new set of embroidery pattern PDFs at littledear.etsy.com! These little designs fit perfectly into 4 inch hoops, just right for a sweet little woodland arrangement. These are also perfect for making embroidered dream catchers! and my Dream Catcher assembly instructions here. 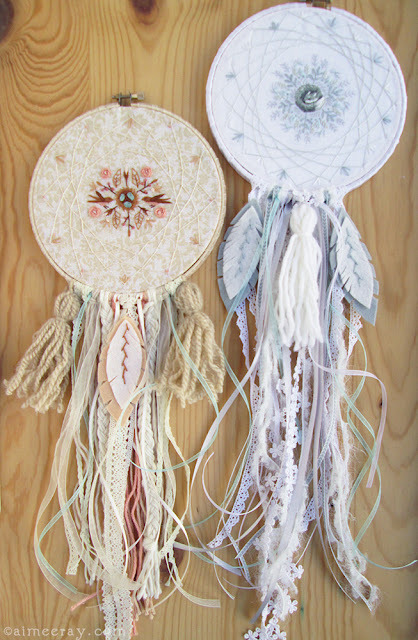 Hand embroidered dream catchers are so unique and fun to make, and a beautiful addition to your special space. Nice embroidery patterns. Also checked your etsy shop. It is amazing. Keep it up.